I think it means they are sick of hearing about it. Self fulfilling prophecy though. 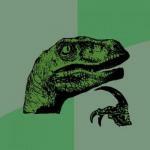 By posting you invite more talk about it so you must care to some degree. I really don't mind the royal wedding talk but if I was sick of hearing about it, sticking up something on social media is entirely counterintuitive? 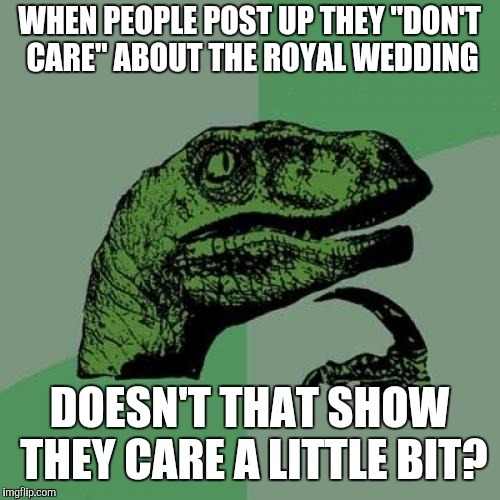 WHEN PEOPLE POST UP THEY "DON'T CARE" ABOUT THE ROYAL WEDDING; DOESN'T THAT SHOW THEY CARE A LITTLE BIT?